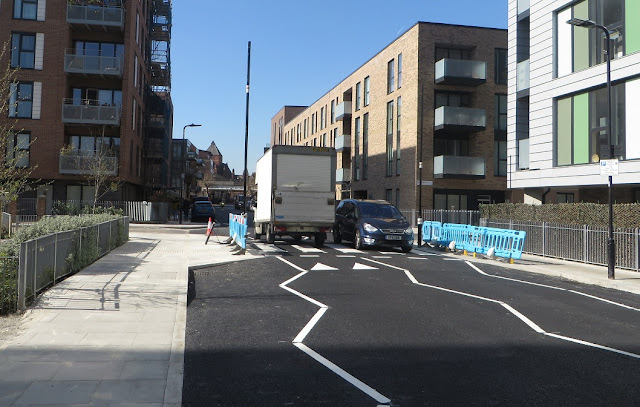 Last October Hackney Council consulted on improving a section of the Central London cycle grid along Whiston Road, and I wrote about it here whilst the consultation was still open. 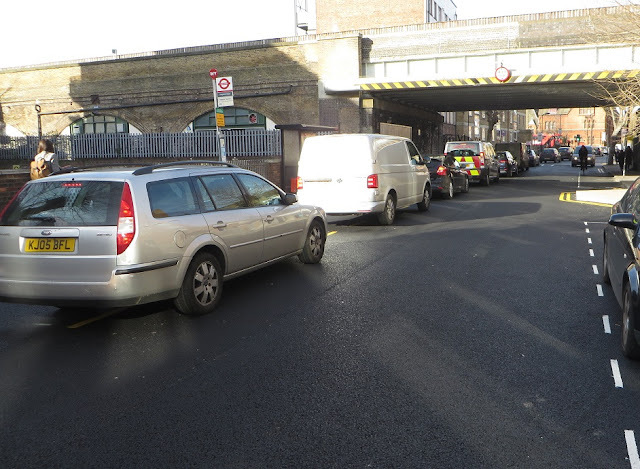 This section of road was historically known as LCN+ route 16 but is now referred to as the Central London Grid, which forms part of the 'wider quietway route'. 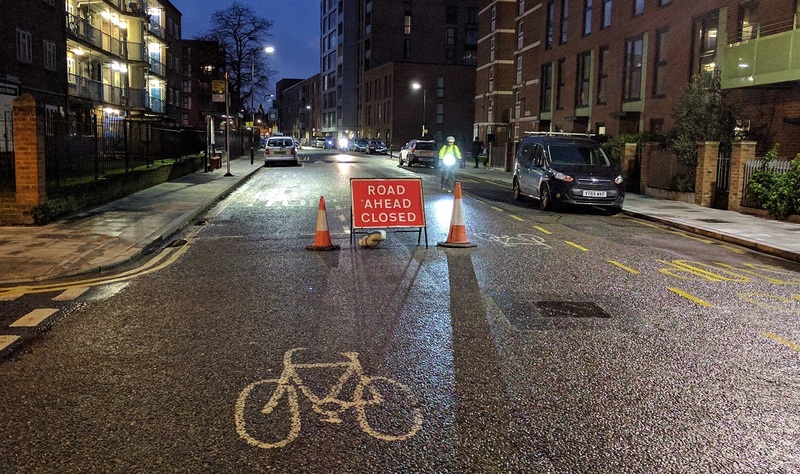 The Central London Grid is a matrix of safe, connected quietway routes and is aimed at new cyclists and people who like to cycle away from heavily trafficked roads. 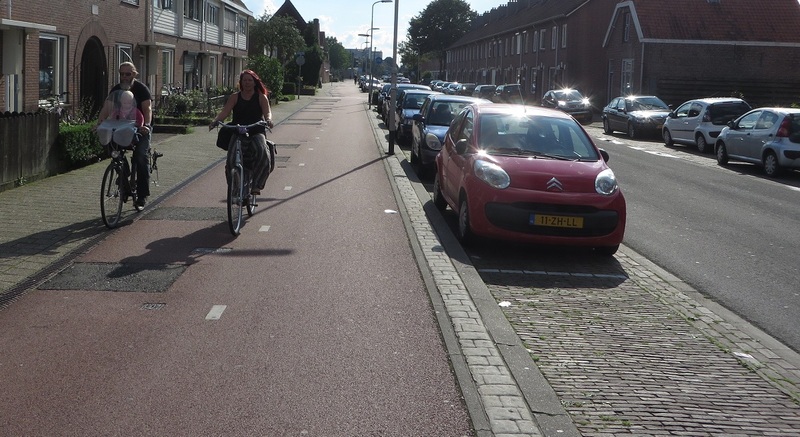 The CLG network will provide continuous and connected routes for cyclists linking key destinations. 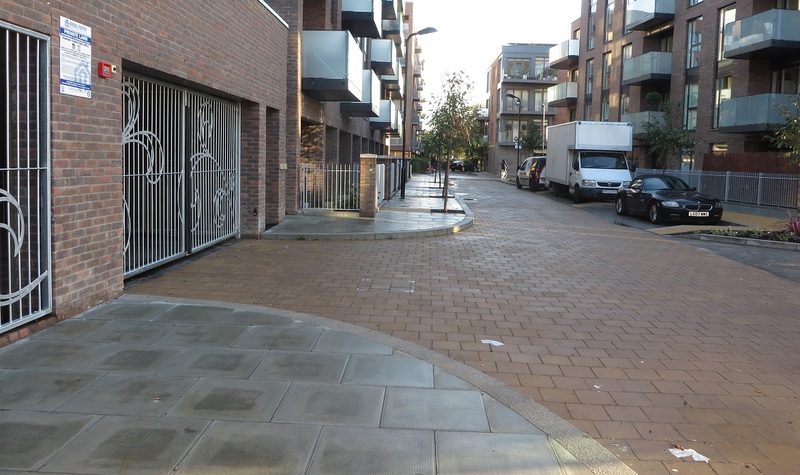 The intention of the CLG quietway routes is that they will follow direct back-street routes, through parks, along waterways or tree-lined streets. 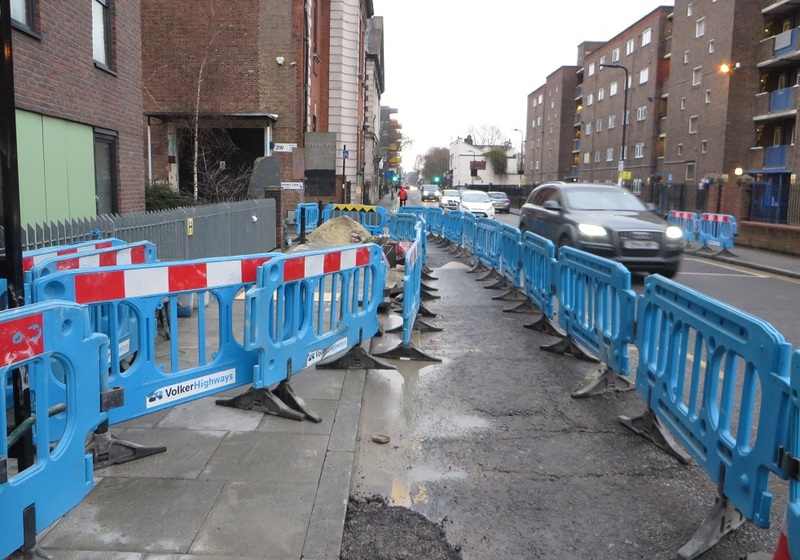 The routes will overcome barriers to cycling, targeting less confident cyclists who want to use low-traffic routes, while also providing for existing cyclists who want to travel at a gentler pace. 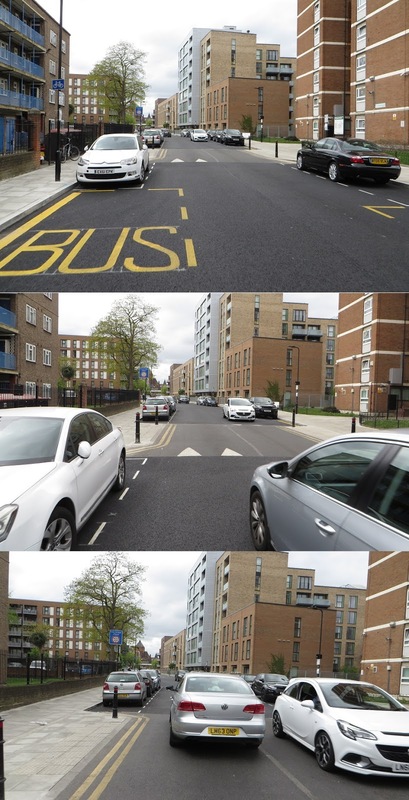 However Whiston Road is also a busy road as there are no restrictions for motor traffic and so many drivers use it as it is the most direct and fastest route from Hackney Road or Broadway Market through to Pitfield Street (Cycle Superhighway 1) or New North Road and is also the preferred route for sat nav and mobile phone navigation apps for East-West drivers in the area. 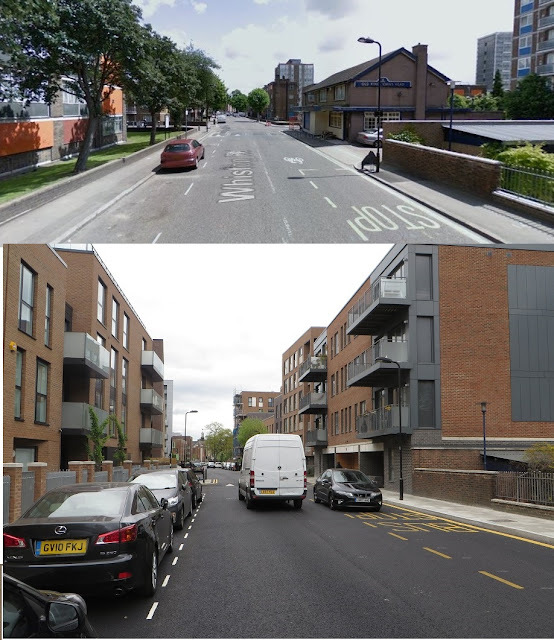 These cycling improvements along Whiston Road were fully funded by TFL, at a cost of £640,000, as part of the Mayor of London's vision for cycling in London programme but were designed and implemented by Hackney Council. The early release signals also only allow about three seconds head start. A slight improvement but not enough time to 'clear the junction', especially for less physically able cyclists. This is not the case on CS2, which I use daily, where the early release for cyclists is about double the length of time as it is here. However Philip Glanville, the Mayor of Hackney, declared that the road "wasn't suitable" for cycle tracks as Hackney has to "balance the needs of all road users"
Most of the buildings have been completely regenerated along both sides of this road over the past few years but it seems a missed opportunity that a complete redesign of the road layout did not also take place. 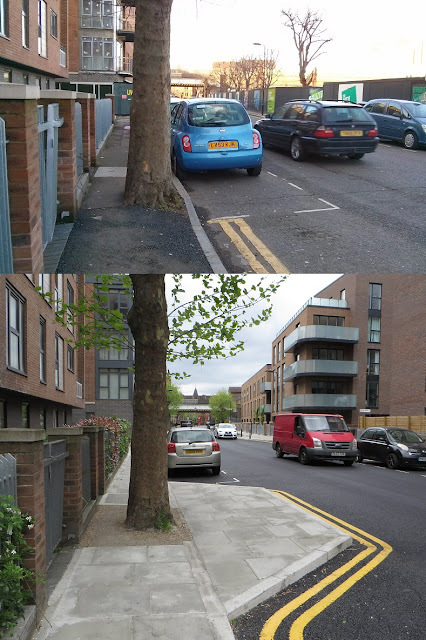 The same spot on Google street view in 2008 and last week. 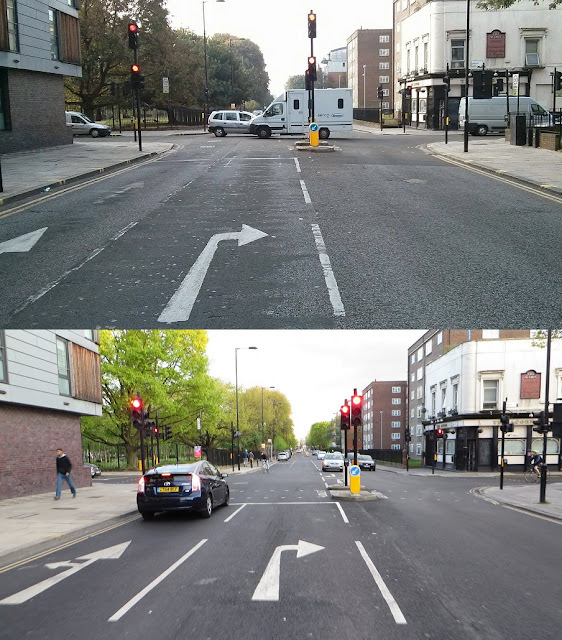 The space either side of the road has been transformed but there are barely any changes to the road itself except for some resurfacing, improved pavements and also that it is no longer a tree-lined street! The installation of cycle hangers in locations across the borough is something that Hackney Council can be praised for and, as you can see from this map, they are one of only a handful of councils who have been really committed to this scheme. However it costs £30.00 per year to store a bicycle here and whilst that is subsidised by the council it is three times the costs to store an emissions free motor car, despite the fact that a cycle hanger fits six bikes, takes up less than one space of a car and also uses no on carriageway space. The CLG will contribute to Hackney's core strategy by improving accessibility and safety for cyclists by improving cycle facilities to encourage cycling in favour of car use thereby decreasing congestion. 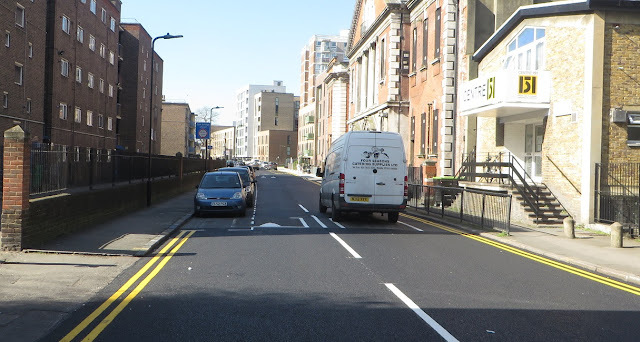 The only sections of Whiston Road that weren't resurfaced were the speed cushions at both ends of the road. Below you can see how they remain in place at the Eastern end of the road but due to the car parking cyclists have to travel directly in the middle of the road to avoid both them and the door zone, assuming it is safe to do this if no traffic is coming the other way. 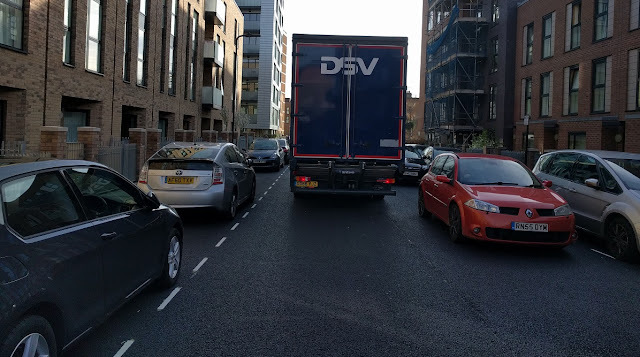 Motor vehicles avoiding them will often drive directly on the other side of the road to avoid them too, pretty daunting if you're cycling in the opposite direction. The crossing area outside the playground was narrowed to 'make it easier for children to cross the road'. 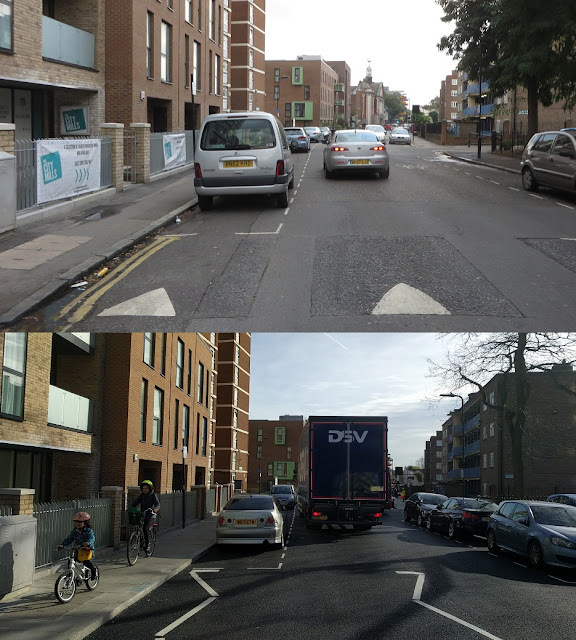 I certainly wouldn't feel comfortable expecting my child to cycle in primary position along this "improved quietway"
Raised entry treatments have also been installed on all the side roads, another slight improvement, but again I don't understand why the council won't experiment with continuous pavements so it is made clear that pedestrians have clear priority at these sides roads, rather than motorists, as is standard in the Netherlands and being installed in the neighbouring borough of Waltham forest. 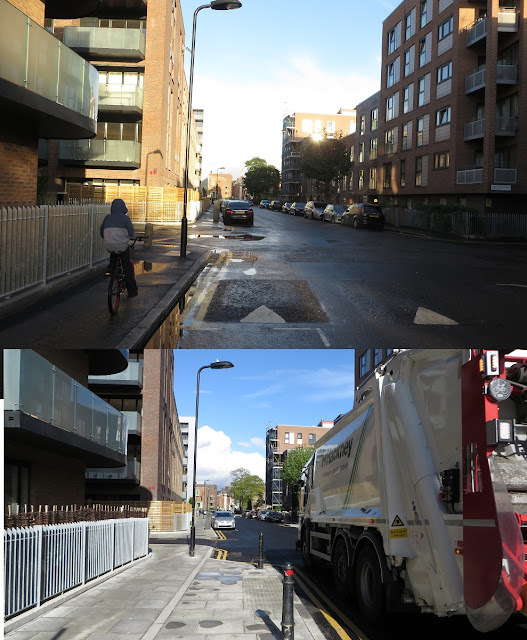 As with CS1 it seems pedestrians have got more value out of the vision for cycling budget allocated to Hackney than people cycling have. 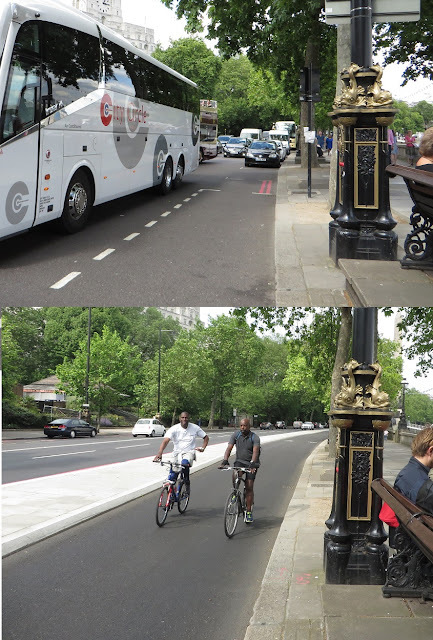 This scheme offers only very little improvement for anyone who already cycles here, I've used it several times in recent weeks and it it still unpleasant to use. A much better route exists slightly further north, adjacent to the canal and it is farcical to suggest that 'this route will overcome barriers to cycling, targeting less confident cyclists who want to use low-traffic routes'. 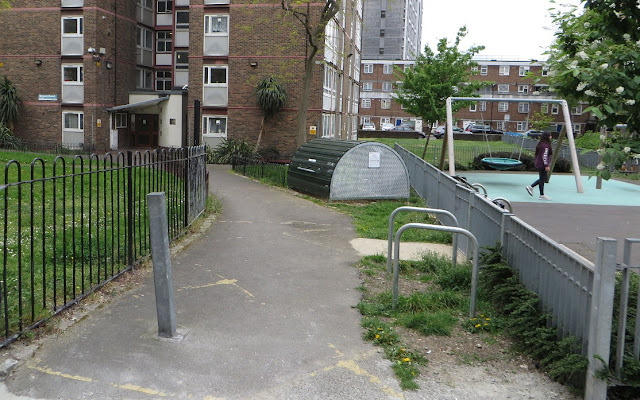 I like Philip Glanville as he is clearly a nice guy and I hope he'll do a decent job as Mayor of Hackney. However housing is his specialist subject and he doesn't seem to get cycling. He did buy a bike, as that was a mayoral election pledge of his, but doesn't seem to have used it yet. I hope he does use his new bike and tries out some of the boroughs dedicated cycling routes like Whiston Road. 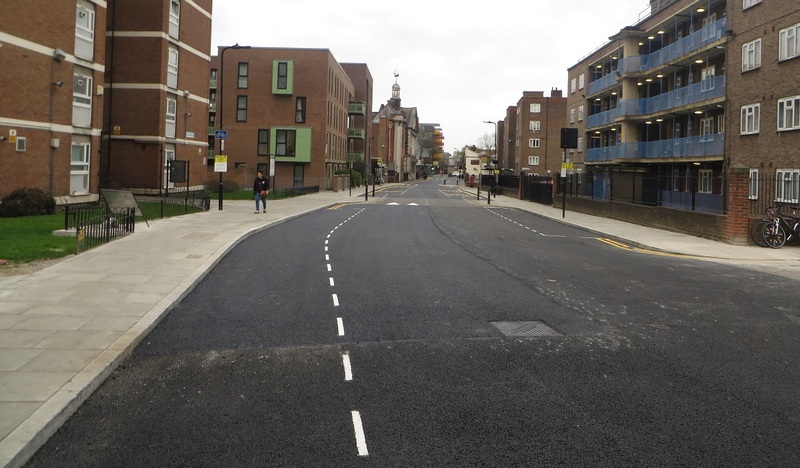 I also hopes he looks to other countries to see how we can make Hackney a place where everyone can cycle by improving our roads, making better use of the cycling budget and truly putting people at the top of the hierarchy.